Syosset, NY Milvado Property Group finished up 2018 by signing 30 lease deals during the last two quarters totaling 474,578 s/f. “Leasing velocity since mid-July has exceeded our expectations,” said David Hercman, regional director of Milvado, who explained that the increased demand for industrial space is partially due to e-commerce. • Evers Direct LLC signed a new lease on 39,867 s/f at 95 Horseblock Rd. in Yaphank. Bob Misa of Industry One Realty Corp, represented Evers. • JB Prince Co. Inc. signed a new lease on 21,136 s/f at 79 Express St., Plainview. 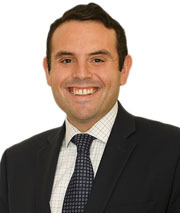 Tom Dimicelli of JLL represented JP Prince. • Ultrasound Solutions Corp. signed a new lease on 10,249 s/f at 101-125 Comac St., Ronkonkoma. Jason Maietta of Colliers International represented Ultrasound. • Interior Specialties Group signed a new 17,500 s/f lease at 90 13th Ave., Ronkonkoma. Jim Dunne of Atlantic Property represented Interior Specialties. • WestRock Co. expanded and renewed 82,000 s/f at 325 Duffy Ave., Hicksville. Mindy Lissner and Paul Leone of CBRE represented Westrock. • Summit Manufacturing LLC renewed 79,540 s/f at 717-725 Broadway Ave., Holbrook. 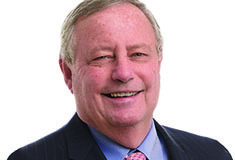 Chuck Tabone of Newmark Knight Frank, represented Summit. • Parts Authority Inc. renewed on 26,500 s/f at 99 Lafayette Dr. in Syosset. “We are excited with the strong close of 2018 and anticipate the momentum to continue into the upcoming year,” said Hercman.